Craftsy calls this lesson "Enriched Breads", but it's really just a fancy way of saying sandwich bread and rolls. This bread rises faster than all the breads in previous lessons because it takes more yeast than previous breads. It also has more ingredients than previous breads. 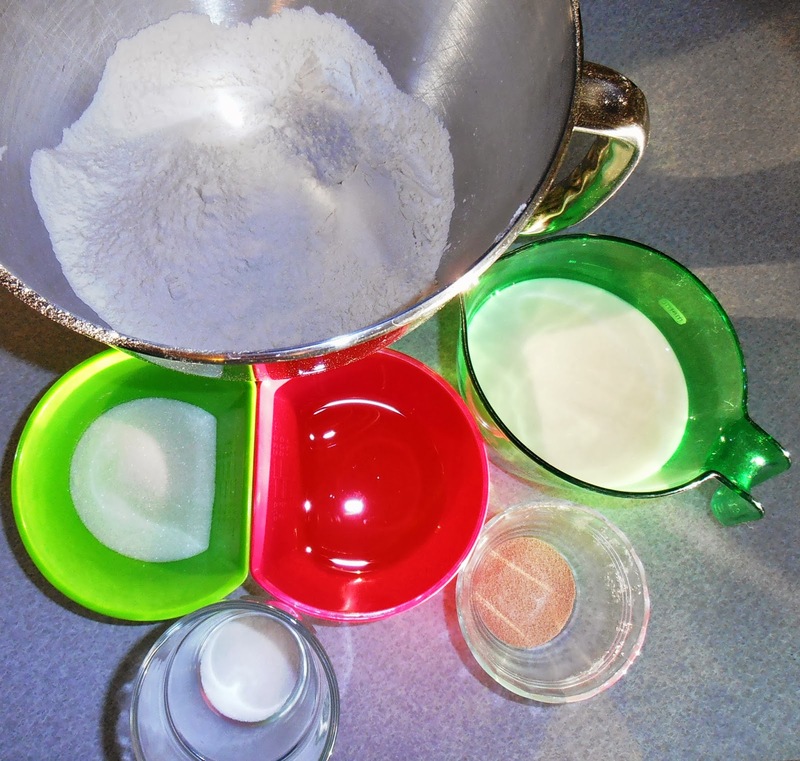 Previous recipes in this class call for bread, flour, salt, yeast, and water. This recipe calls for all of that and also oil, salt, and milk instead of water. Enriched bread is denser than ciabatta and other lean doughs. The dough feels heavier. It also is less sticky than the previous doughs. The dough is a little tacky feeling when it comes out of your mixing bowl. The print outs that go with the lesson describe it as feeling like the back of a post it note. I'd say that's pretty acurate. 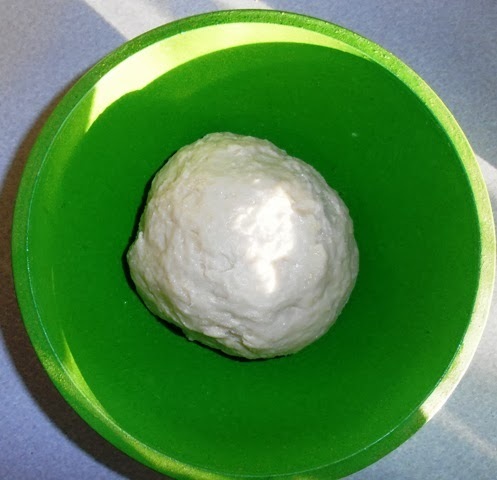 Dough after mixing- set to rise. After it rises, you transfer it to a loaf pan and after letting it rise a second time, you bake it. Easy peasey. All the previous bread lessons take time. They're not complicated, but if you want to bake bread you have to plan ahead. Ciabatta has to rise overnight. So you need to start early in the morning and then bake it in the evening, or pop it in the refrigerator and forget about it until the next day. 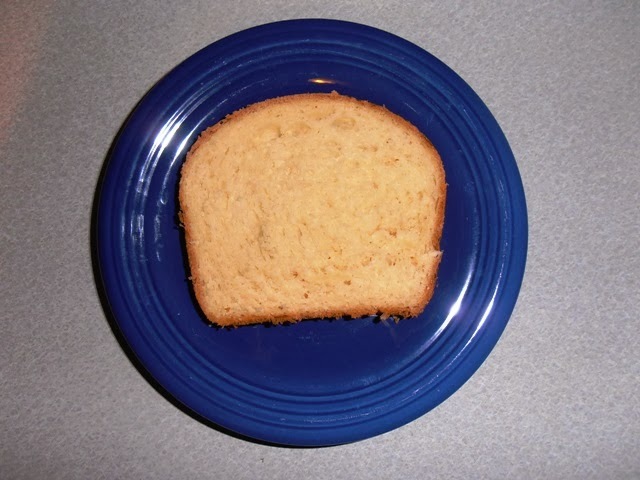 Sandwich bread is much less time intensive. Once it rises for second time, you just brush it with an egg wash and then stick it in the oven. Brushing with egg wash. Photo courtesy of Christy Janeczko Photogpray. 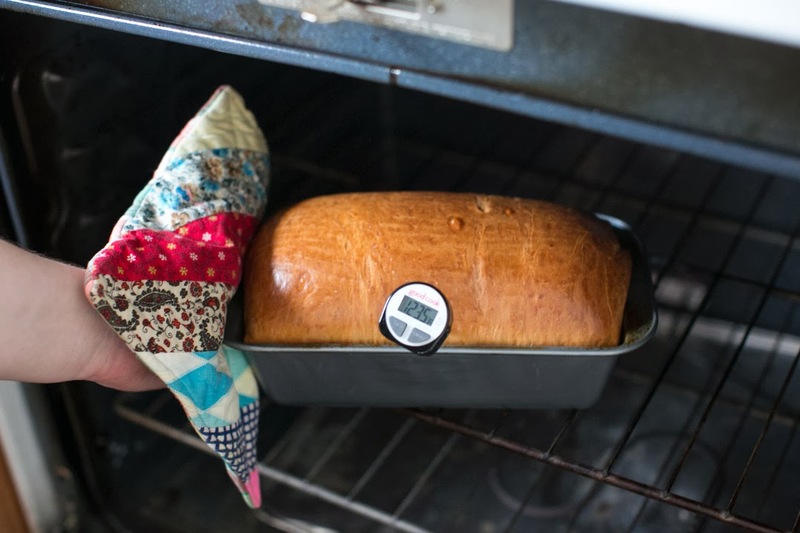 When the bread has an internal temp of 200 degrees, it's done. Finished bread. Photo courtesy of Chrsity Janeczko Photography. So what do you do with the finished product? This bread makes excellent PB&Js and toasts up superbly. This bread also makes the greatest grilled cheese sandwiches! I like to slice up an apple super thin and then layer it between two slices of bread with some cheddar cheese. Yum! Seriously, try it, you'll be hooked. This lesson also details different types of rolls you can make with this dough, but I've only tried a couple so far. I've just been hooked on the sandwiches! 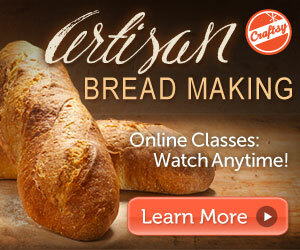 If you want to learn more about bread making, I really recommend Craftsy's Artisan Bread Class. I started out with zero bread making skills, and have now become pretty proficient with it. This class does a great job of not only explaining of how to do it, but why you do it that way. 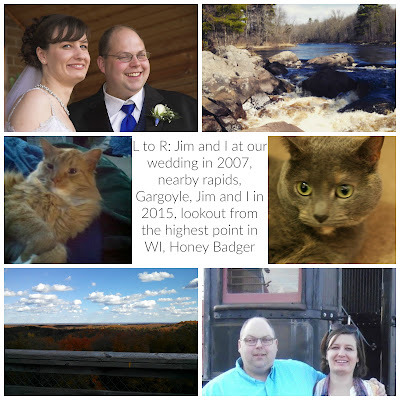 All links in this post are affiliate links, but all opinions are 100% my own. Sampled this bread and it's definitely very tasty! Makes wonderful french toast too!